KD's are the sunglasses that Jax Teller and other Sons of Anarchy club members wear. 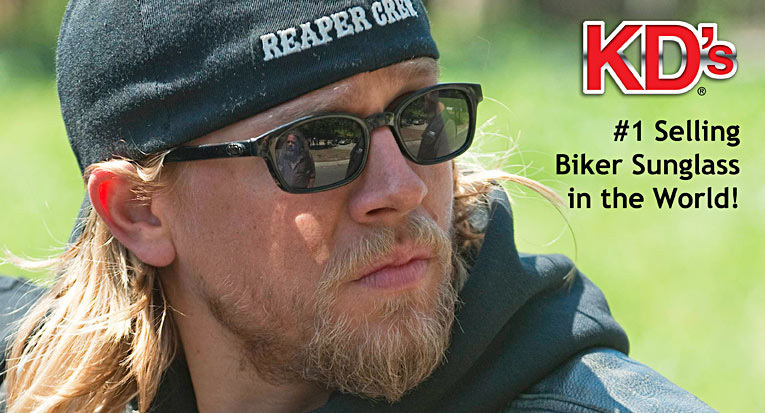 The Sons of Anarchy TV show chose these sunglasses because we are the #1 Selling Biker Sunglasses in the World. 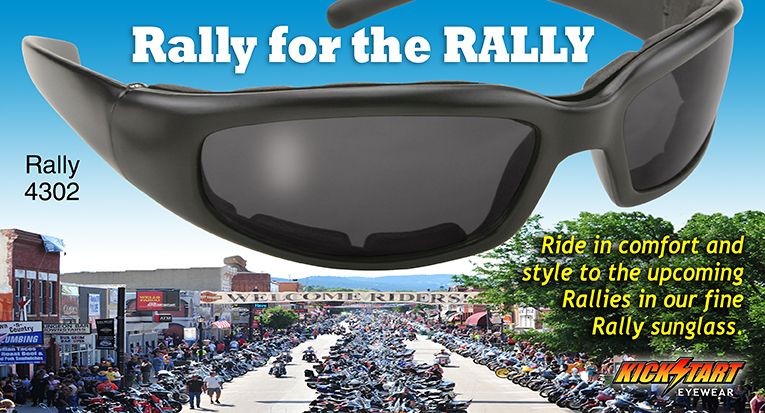 Motorcycle Rally Eyewear! These Rally glasses are a special padded glasses. 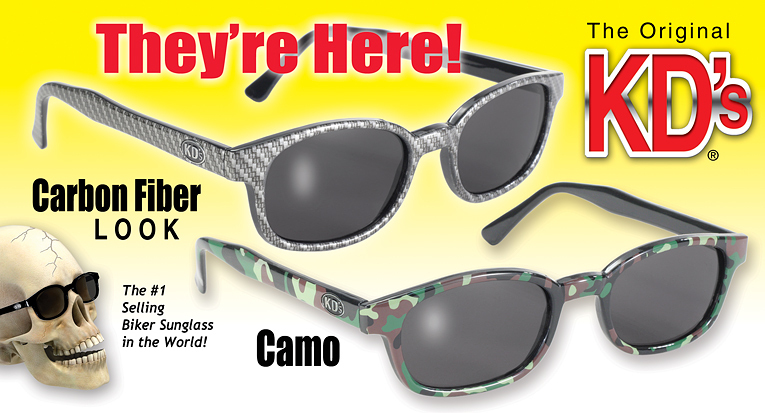 Padded glasses offer protection from wind and dust like a goggle. Soft and durable foam line the inner frame of the sunglasses. The same Original KD's you love but with new Carbon Fiber and Camo designs. Lightweight, long slim arms, fits comfortable under helmet, acetate frame, reinforced temples with Polycarbonate lenses. Fearlessly leading the way, Pacific Coast Sunglasses, Inc. eyewear has been bringing the motorcycle world rock-solid sunglasses and goggles since 1984. Located half way between Los Angeles and San Francisco, the central coast has been our happy home since 2000. Our individual customers and our dealer customers buy from us because of our great quality eyewear, wide selection, affordable price and the best service in the industry. We make it easy…if you need help with any of the details, simply call or e-mail us and we will help you. Copyright © 2019 Wholesale Motorcycle Eyewear. Sunglasses & Goggles provided by Pacific Coast Sunglasses Inc.